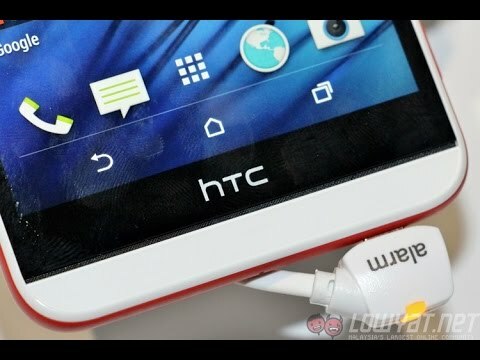 For those of you who were hoping to see the much talked about HTC Hima on CES 2015 happening next week, then you’ll be in for a disappointment. HTC has already sent out its press event for the Consumer Electronics Show and it looks like they will only be focusing on the Desire range of smartphones. According to an invitation published on Weibo, it is for CES 2015 happening in Vegas on 6 January 2015, and it reads “Always Desire more”, obviously hinting that they will be introducing new Desire smartphone(s). In case you’re wondering, the previous generation flagship smartphones from the Taiwanese company – HTC One (M7) and HTC One (M8) were both introduced about a month or two after CES so fingers crossed that the next flagship will be announced by MWC 2015 happening in early March next year. 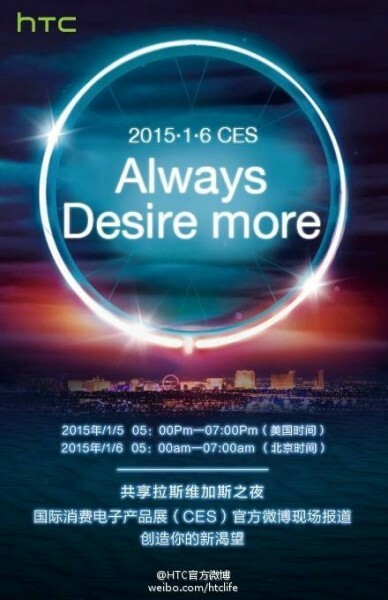 So which Desire smartphone(s) will HTC be announcing at CES next week? GSMArena says that one of them should be the HTC A12 that features a 4.7” HD display and is powered by a Qualcomm Snapdragon 410 processor. Other specs include 1GB of RAM, 8MP rear shooter, 2100mAh battery, and will run on Android Kit Kat out of the box.